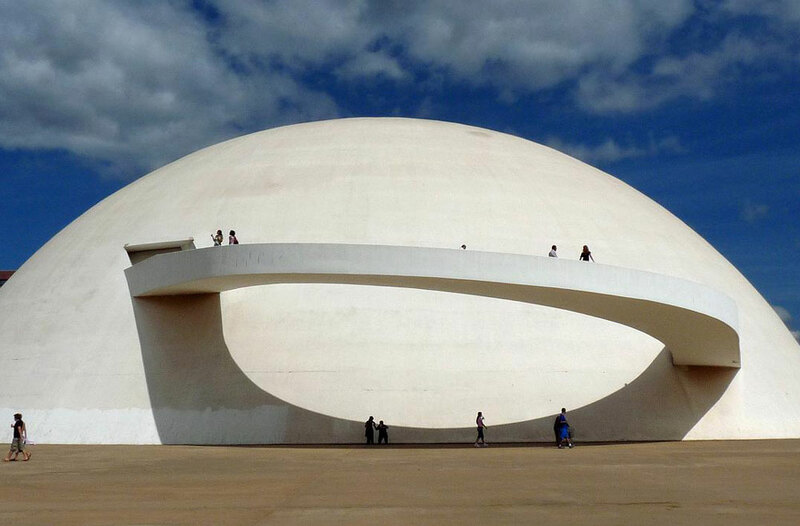 Brazil Week // Amazing Buildings Designed By Oscar Niemeyer. 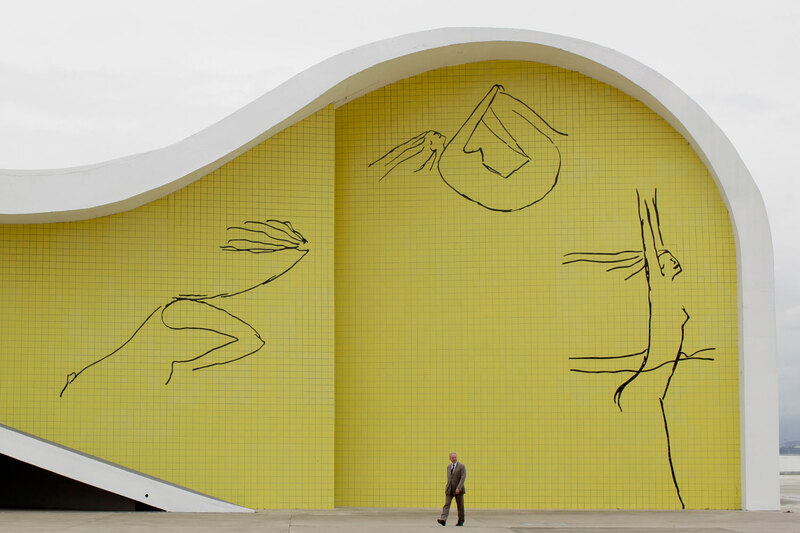 With his incredibly prolific portfolio in architecture, sculpture, furniture and design, the late Oscar Niemeyer truly left his mark on Brazil, and the world. 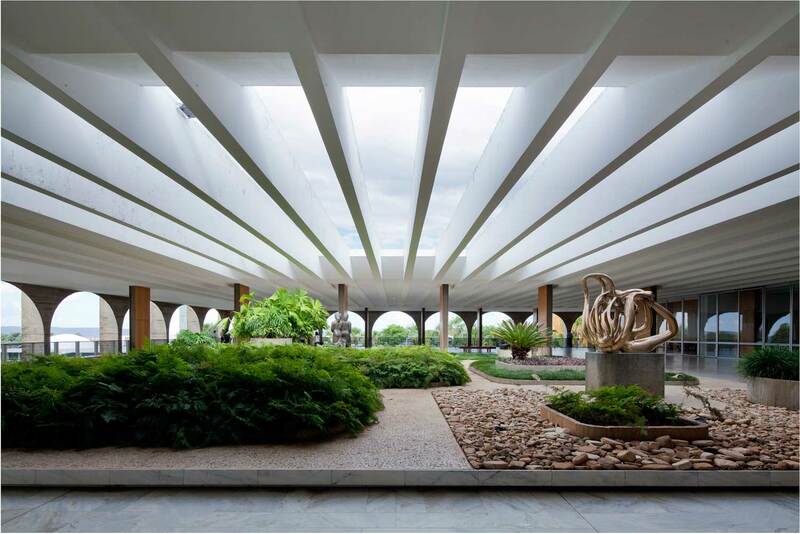 Living a fruitful life until the age of 104, the Brazilian architect is considered one of the key figures in the development of modern architecture and was hailed as one of the greatest architects of his generation. 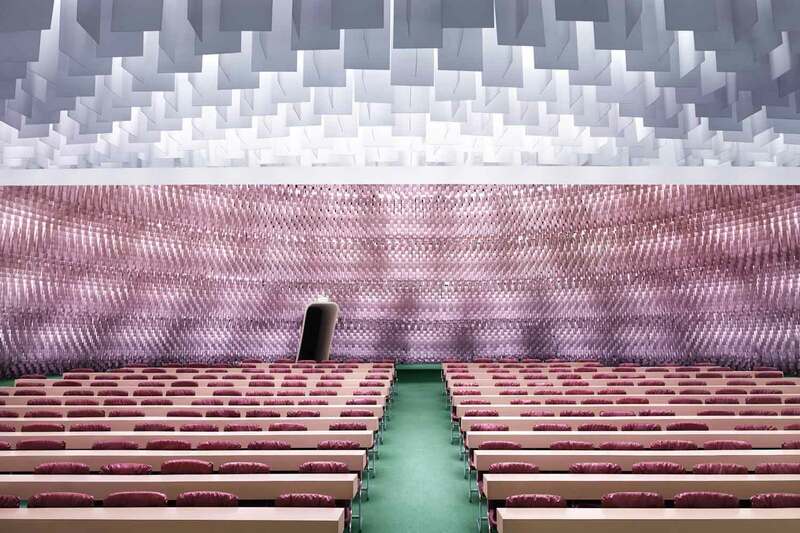 In his lifetime he created more than 500 buildings, continuing to work until shortly before his death in 2012. 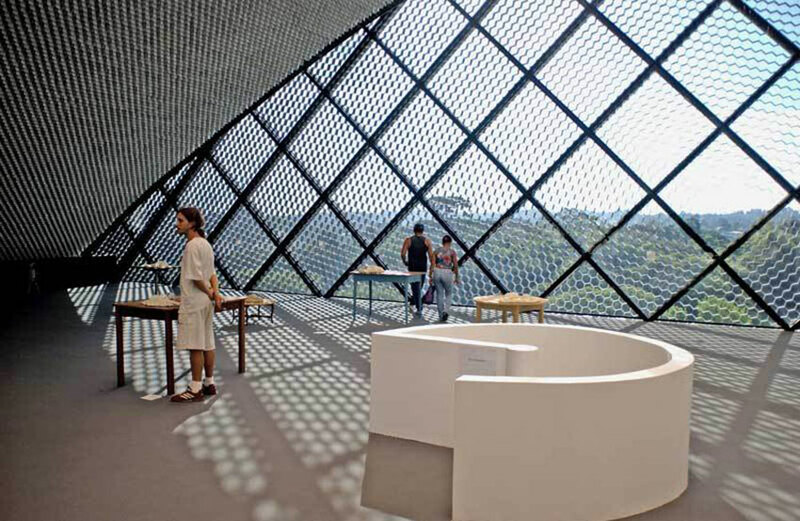 His distinctive buildings can be seen throughout Brazil and in various cities throughout the world. 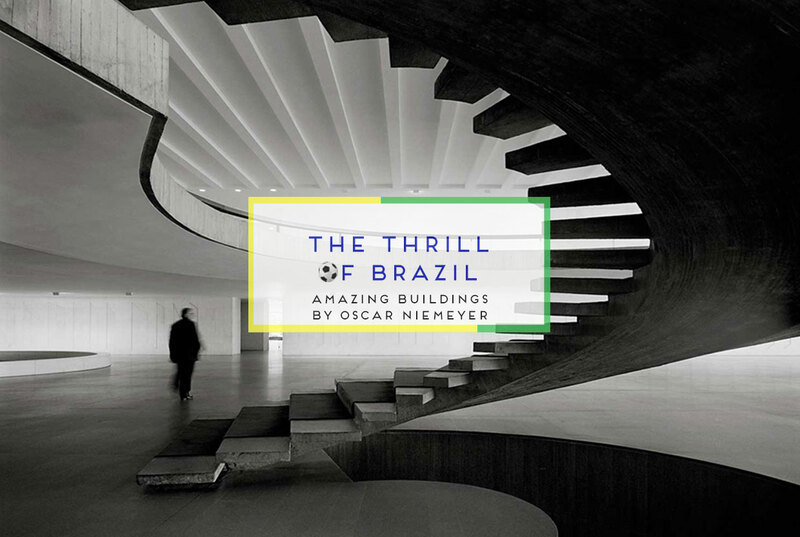 In the sprit of Brazil week, today we celebrate some of Oscar Niemeyer’s most beautiful and iconic modernist buildings from around the world. 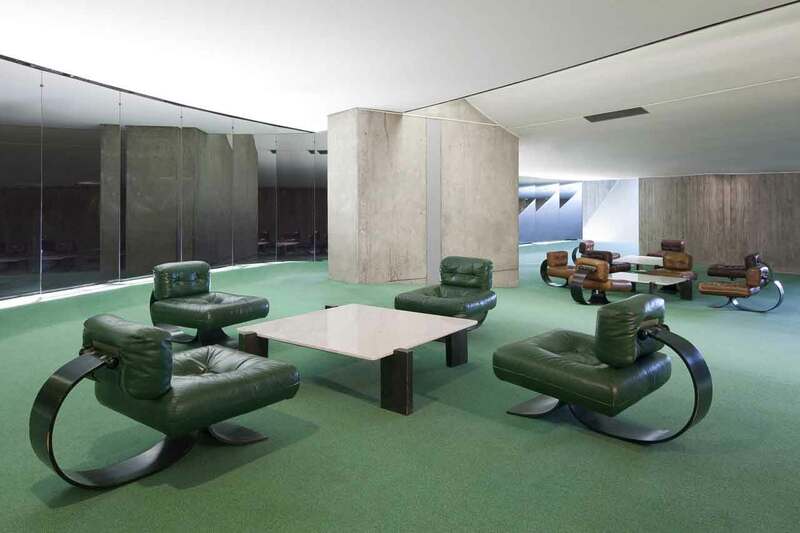 One of the buildings most steeped in Niemeyer’s personal aesthetic happens to be his personal home that he built in 1953. 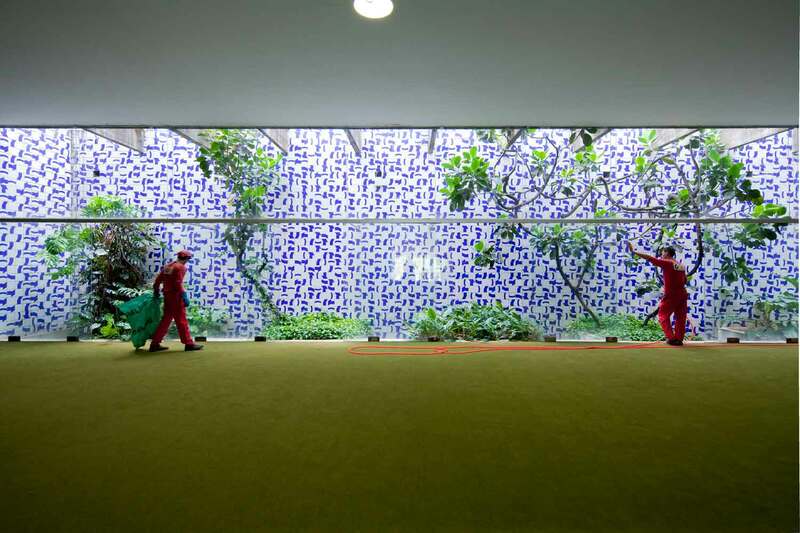 In 2010, Niemeyer’s home in Canoas, Brazil became the Oscar Niemeyer Foundation Headquarters. 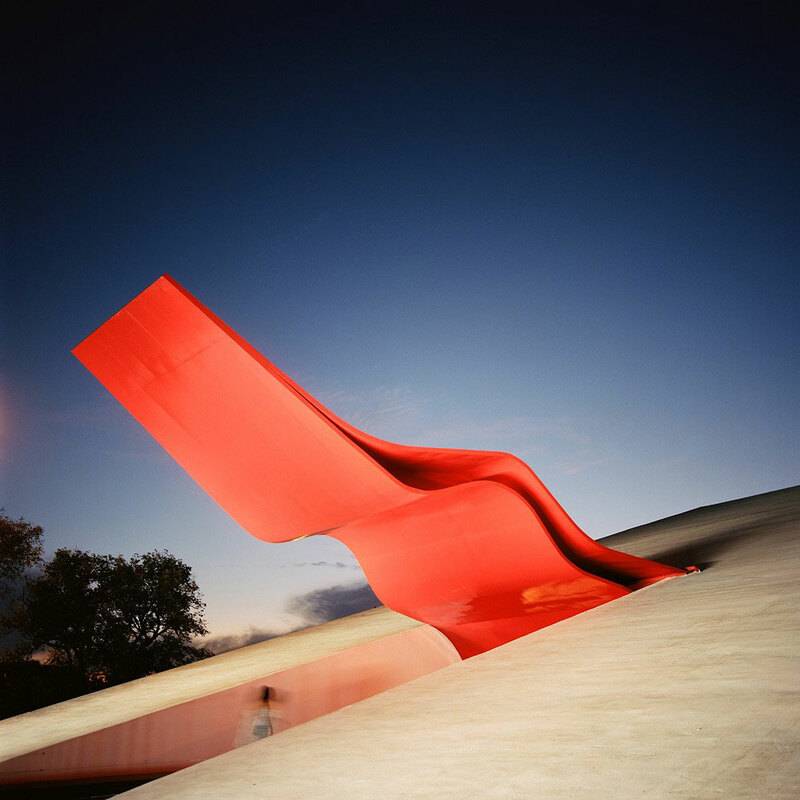 The Oscar Niemeyer foundation building in Canoas, Brazil. 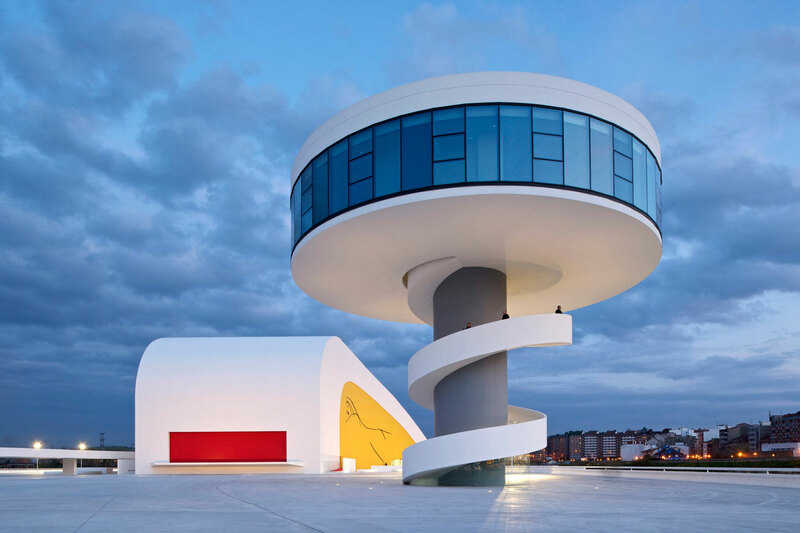 The Oscar Niemeyer International Cultural Centre (or Centro Niemeyer) in Avilés, Spain. The first stone was set in April 2008. The building was inaugurated on 26 May 2011. Photo © Iñigo Bujedo-Aguirre. Theatre Oscar Niemeyer, in Niterói, on the banks of Guanabara Bay. 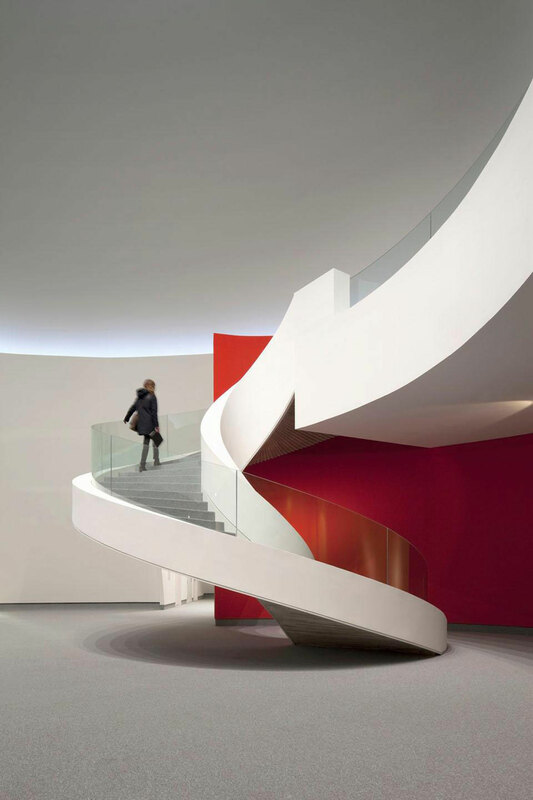 Spiral stair inside Oscar Niemeyer International Cultural Centre in Avilés, Spain. Photo by James Ewing. 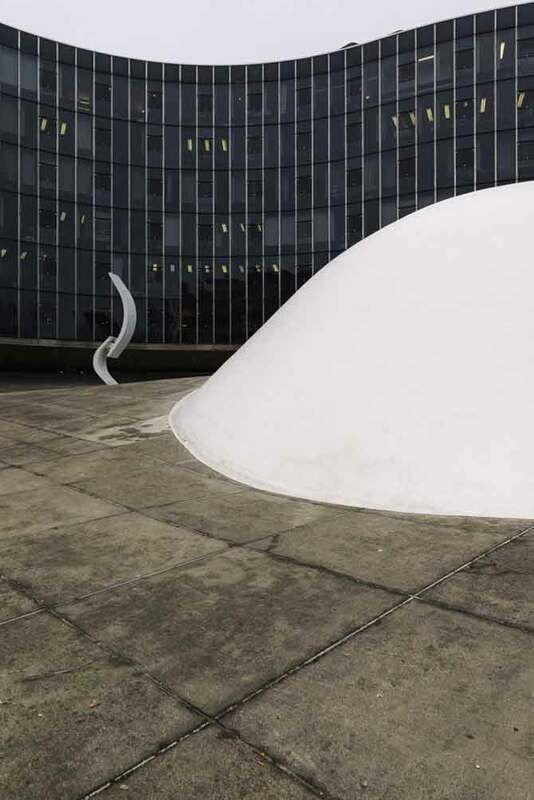 The Communist Party Headquarters by Oscar Niemeyer was built in 1972 in Paris, France. The sinuous building presents a dramatic contrast to the majestic, centuries-old palaces occupied by most French government ministries. Over the past decade the building has been the setting for a Prada-sponsored fashion fête, and Christian Dior and Louis Vuitton photo shoots. Communism never looked more glamorous! Photo by LUCA ZANIER. 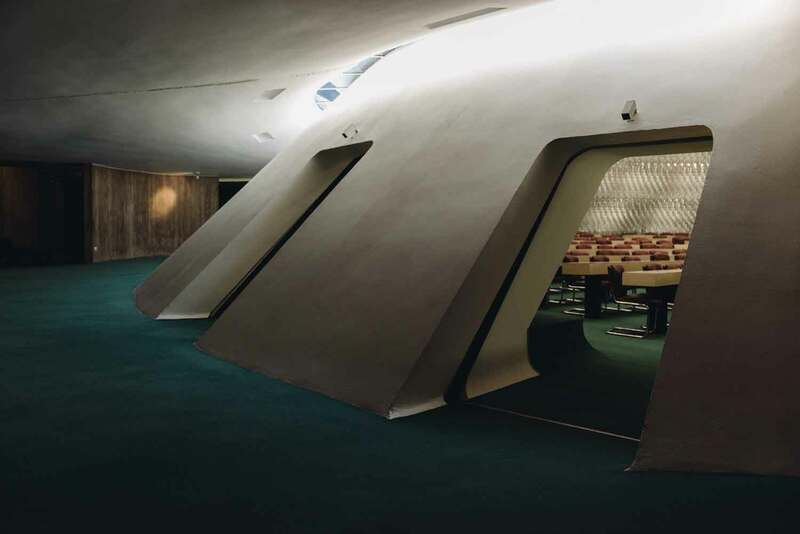 The Communist Party Headquarters by Oscar Niemeyer in Paris, France. 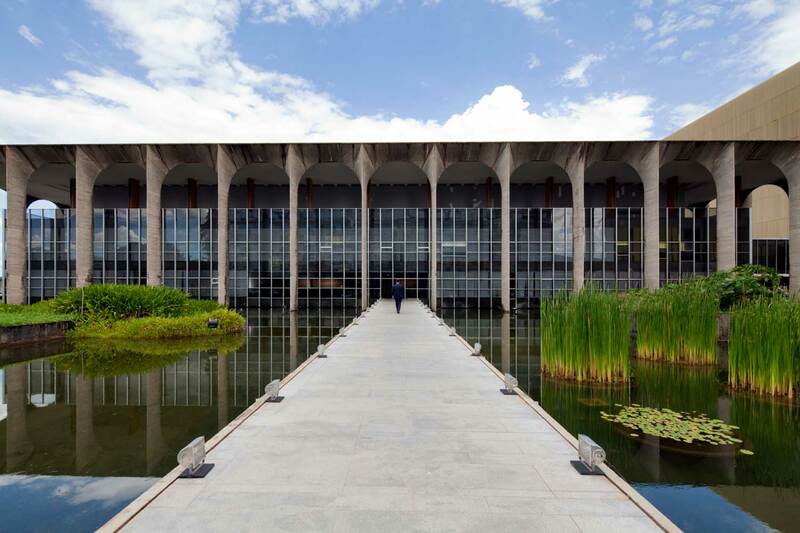 The Itamaraty Palace (or Palácio do Itamaraty) is the headquarters of the Ministry of External Relations of Brazil. The building was inaugurated on 21 April 1970. 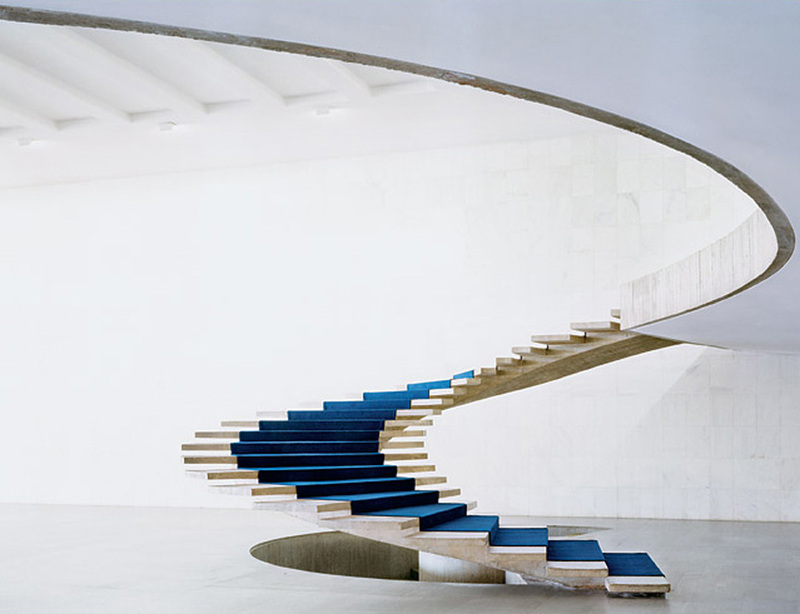 The iconic spiral staircase inside Itamaraty Palace in Brazil. Absolutely gobsmacking. Itamaraty Palace by Oscar Niemeyer in Brasília, Brazil. Photo by Cristiano Mascaro. 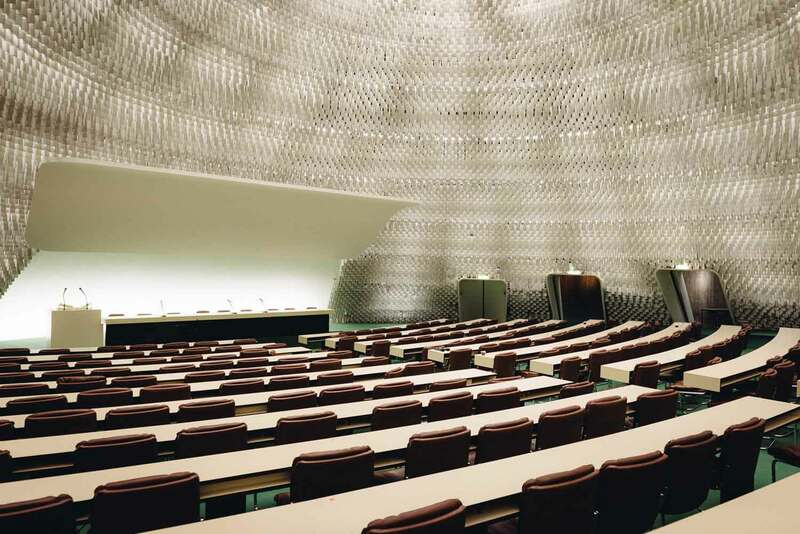 Oscar Niemeyer designed the National Congress building during the late 1950s and early 1960s. 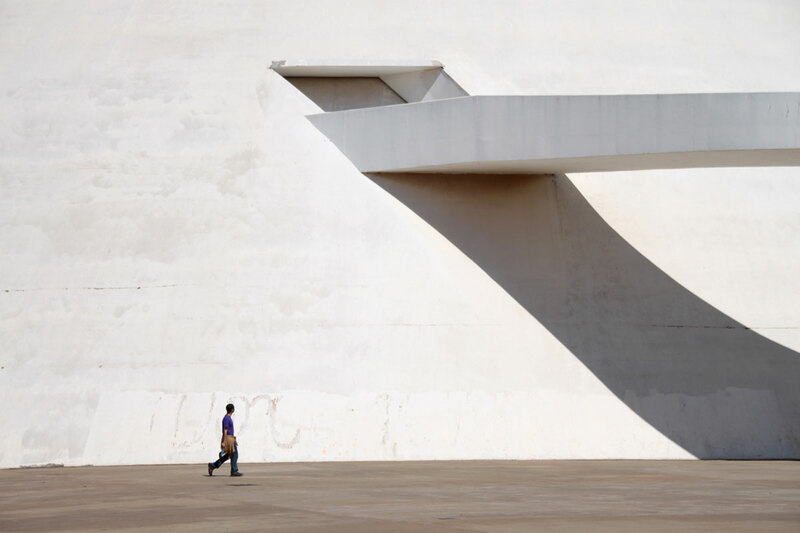 National Congress Building by Oscar Niemeyer in Brasília, Brazil. 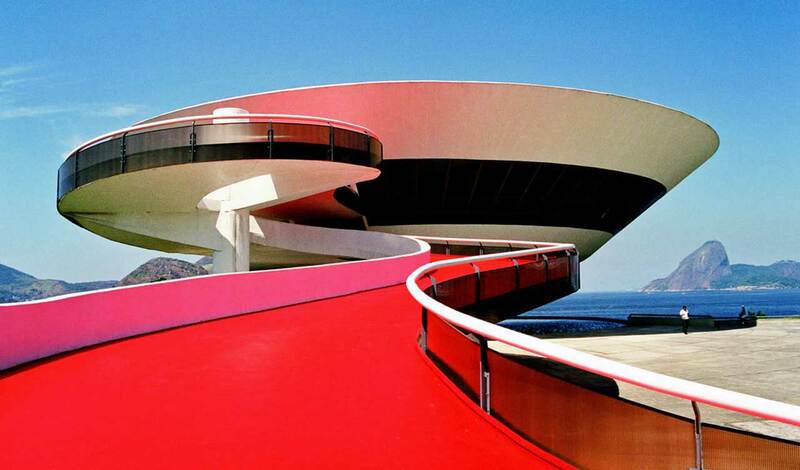 Casa das Canoas was designed by Oscar Niemeyer in 1951, in Rio de Janeiro, Brazil. Photo by Frank van Leersum. 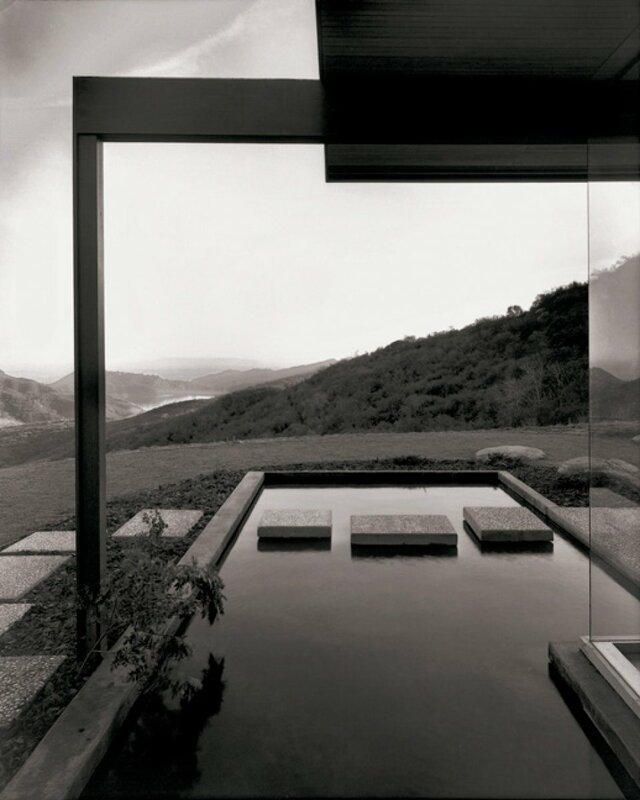 Casa das Canoas House by Oscar Niemeyer in Rio de Janeiro, Brazil. Photo by Frank van Leersum. 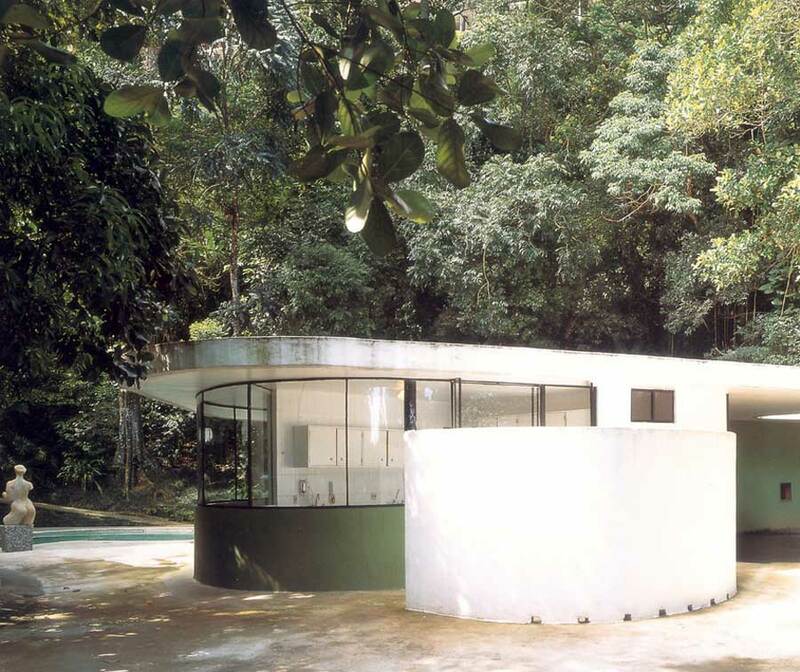 Casa das Canoas House by Oscar Niemeyer in Rio de Janeiro, Brazil. 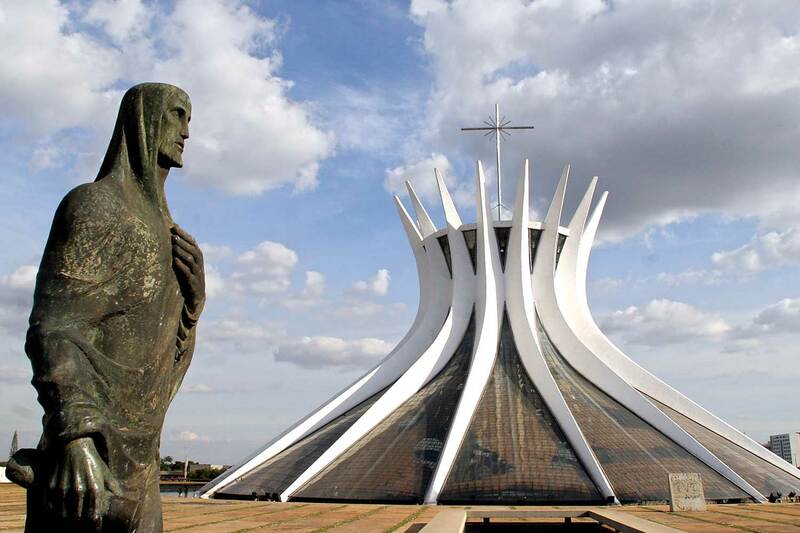 The Cathedral of Brasília (Catedral Metropolitana Nossa Senhora Aparecida – “Metropolitan Cathedral of Our Lady of Aparecida”) is the Roman Catholic Cathedral in Brasília, Brazil. 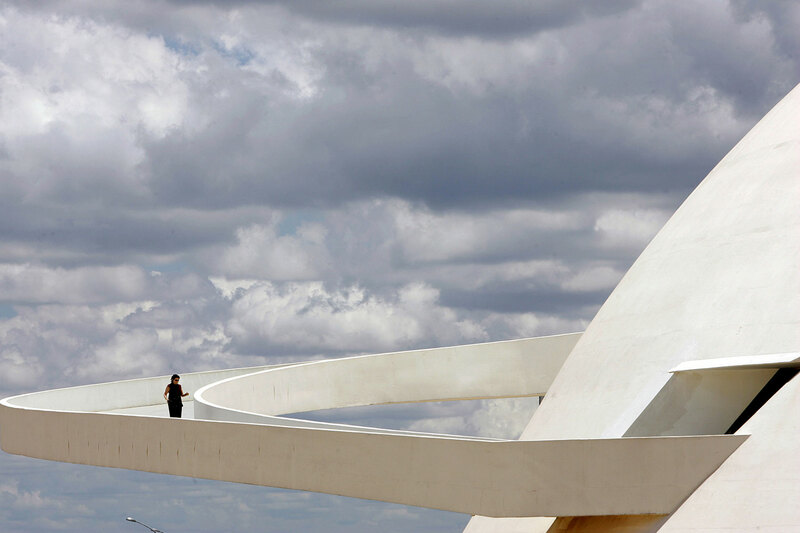 Designed by Oscar Niemeyer, and was completed and dedicated on May 31, 1970. Image © Flickr User el_floz. The Cathedral of Brasília by Oscar Niemeyer in Brasília, Brazil. Image © Flickr User el_floz. 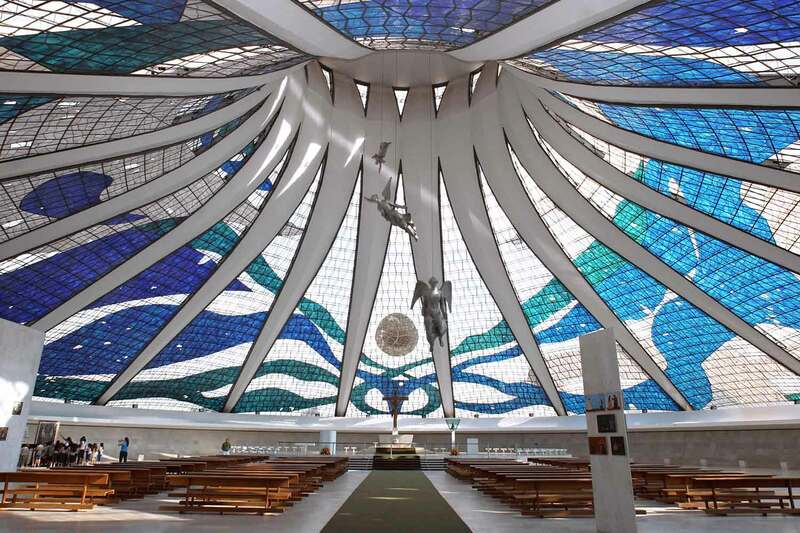 The Cathedral of Brasília by Oscar Niemeyer. Image © Flickr User el_floz. The Niterói Contemporary Art Museum (Museu de Arte Contemporânea de Niterói — MAC) in Niterói, Rio de Janeiro, Brazil. It was completed in 1996. 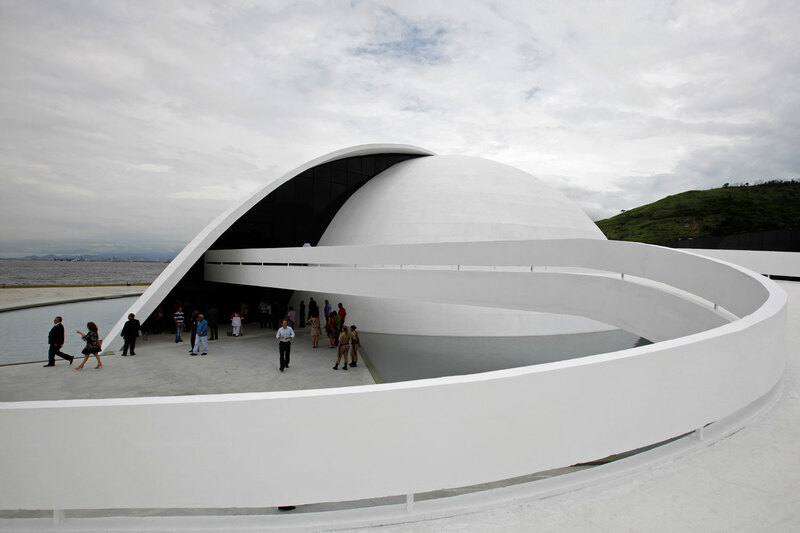 The Niterói Contemporary Art Museum by Oscar Niemeyer, Rio de Janeiro, Brazil. 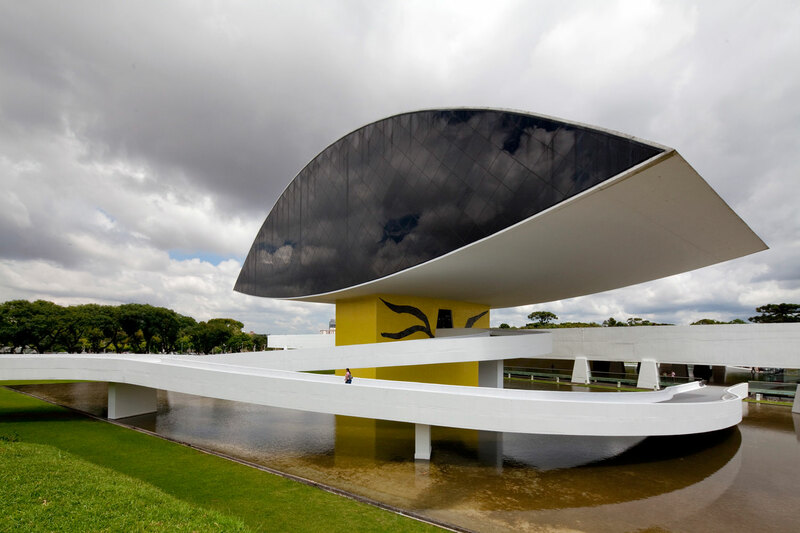 The Oscar Niemeyer Museum (or Museu Oscar Niemeyer) in Curitiba, Brazil. 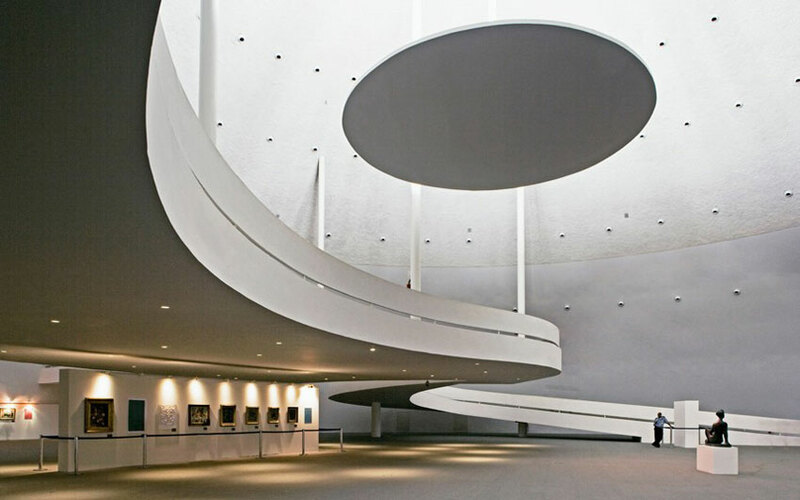 The first building was designed by Niemeyer in 1967, and was inaugurated in 2002 with the name Novo Museu or New Museum. 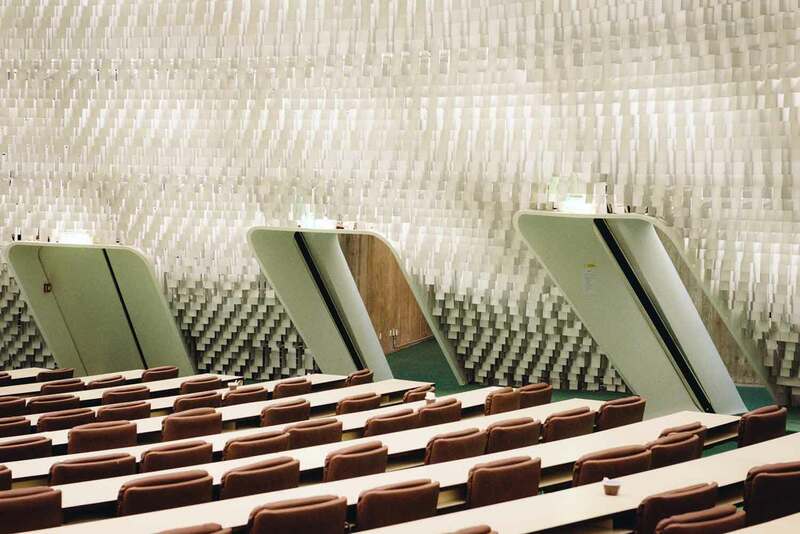 With the conclusion of remodelling it was re-inaugurated on July 8, 2003. Inside Oscar Niemeyer Museum in Curitiba, Brazil. Photo by Giuseppe Bizzarri. 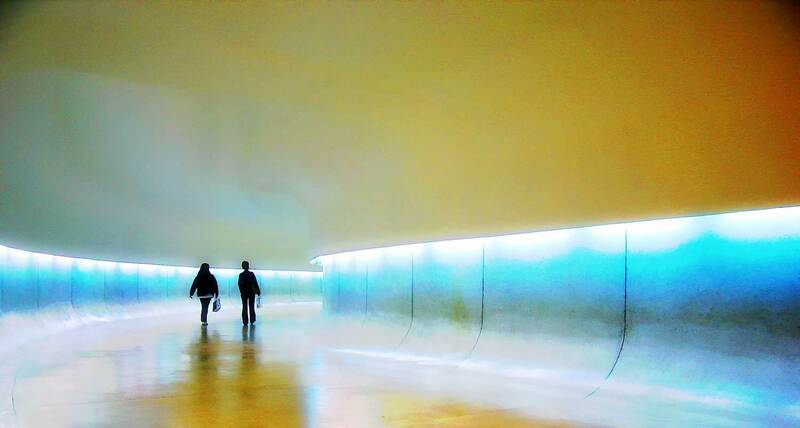 Entering the spaceship, I mean Oscar Niemeyer Museum Curitiba. 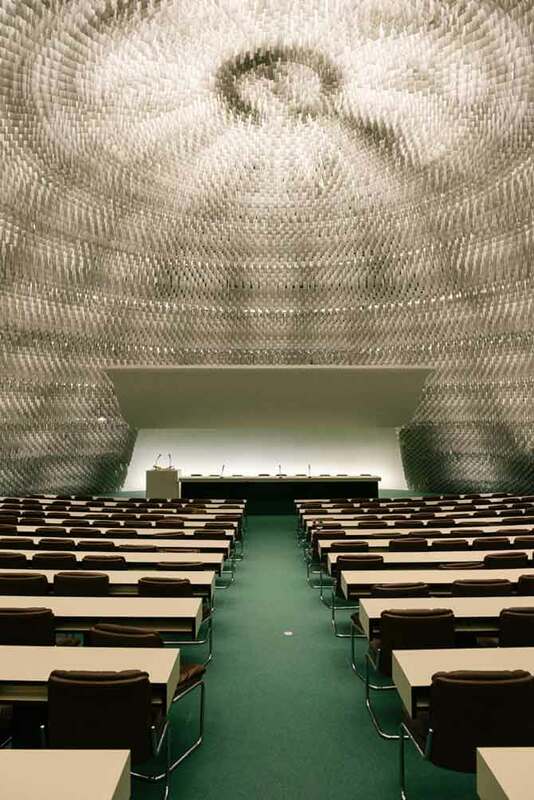 Ibirapuera Auditorium in São Paulo by Oscar Niemeyer. Photo by Frank van Leersum. 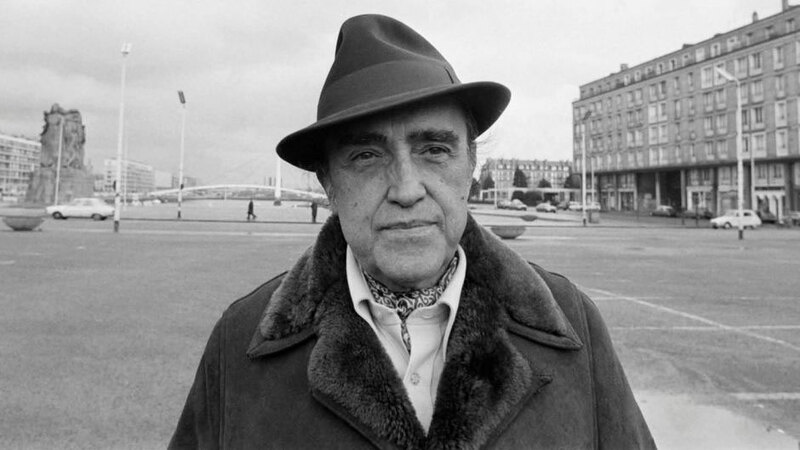 Brazilian architect Oscar Niemeyer in Le Havre, France, on February 17, 1977. 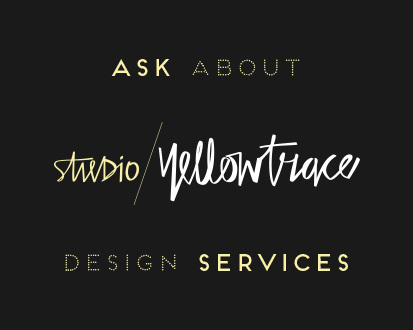 Brazil Week // São Paulo Collection by Studio Swine. I believe the greatest Architect to ever live- and to practice in his 90’s is a real inspiration!If Architects use to reach their beak at 55- I suspect he has just pushed up that average! Hello! I am from the city of Niterói, Rio de Janeiro. I would like to correct the credit some photos: the photo 7 (after the Niemeyer Center) is actually the side of the Popular Theatre Oscar Niemeyer, in Niterói, on the banks of Guanabara Bay. 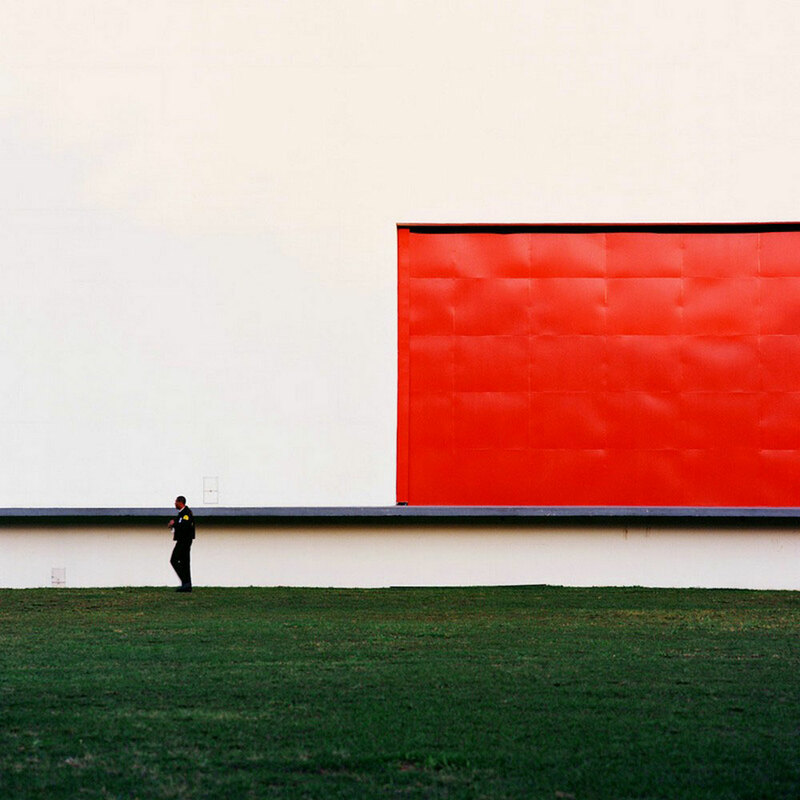 And the picture 33 (with a red shirt) is not the architect’s house in Canoas; but the Ibirapuera Auditorium in São Paulo. Thank you so much for the corrections Eduardo! Much appreciated. 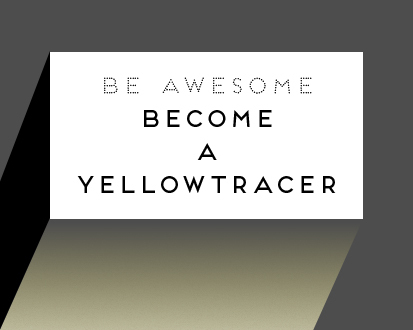 These have now been corrected. 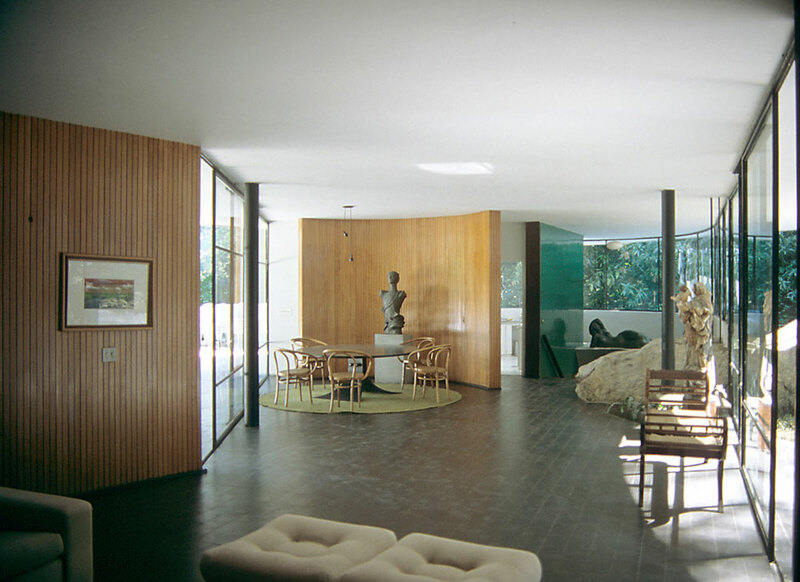 I just realized that there is another correction: the architect’s home in Canoas did not become the headquarters of the Oscar Niemeyer Foundation. The building of the photos 2, 3, 4 and 5 is a new construction, especially designed to host the Foundation. 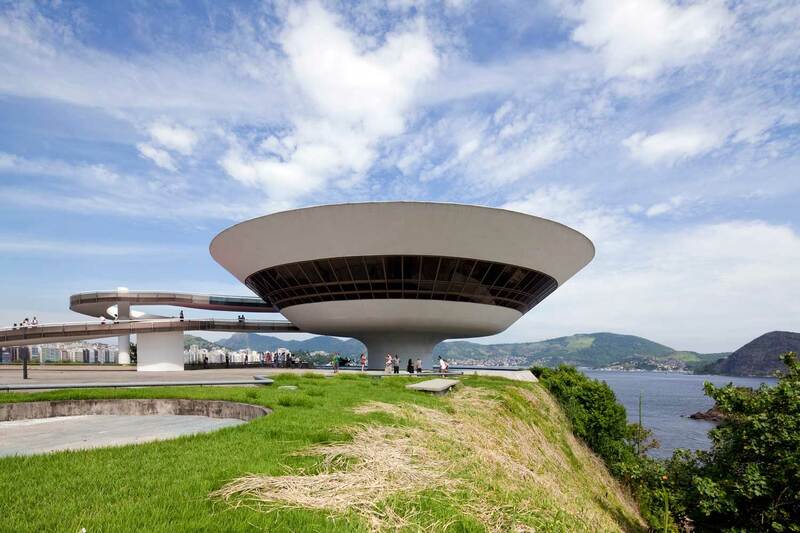 It is part of the cultural architectural complex of Niemeyer Pathway, along with the Roberto Silveira Memory Center, the Oscar Niemeyer Foundation, the Popular Theater Oscar Niemeyer, the JK Square, the Petrobras Cinema Museum, the Museum of Contemporary Art (MAC), and the Charitas Waterway Station. Some of these facilities are still under construction. Everyone in the city of Niterói, Rio de Janeiro. 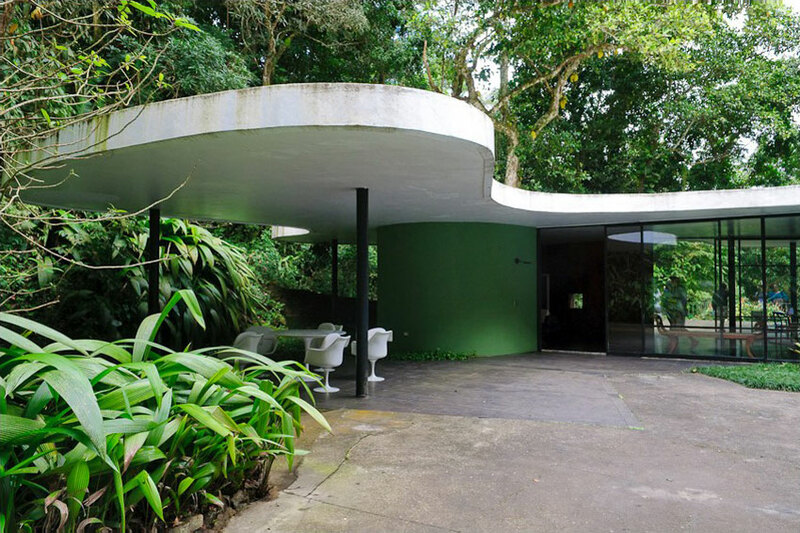 I just realized that there is another correction: the architect’s home in Canoas did not become the headquarters of the Oscar Niemeyer Foundation. The building of photos 2, 3, 4 and 5 is a new construction, especially designed to host the Foundation. 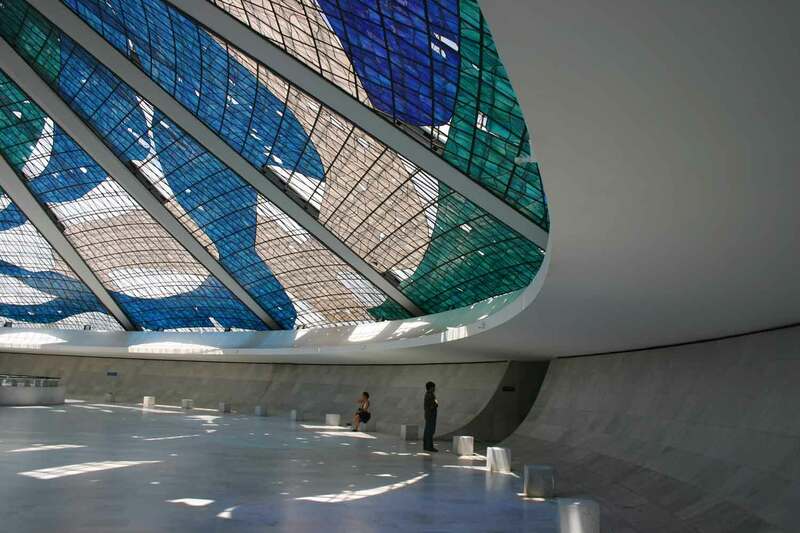 It is part of the cultural architectural complex of Niemeyer Pathway, along with the Roberto Silveira Memory Center, the Oscar Niemeyer Foundation, the Popular Theater Oscar Niemeyer, the JK Square, the Petrobras Cinema Museum, the Museum of Contemporary Art (MAC), and the Charitas Waterway Station. Some of these facilities are still under construction. Everyone in the city of Niterói, Rio de Janeiro.